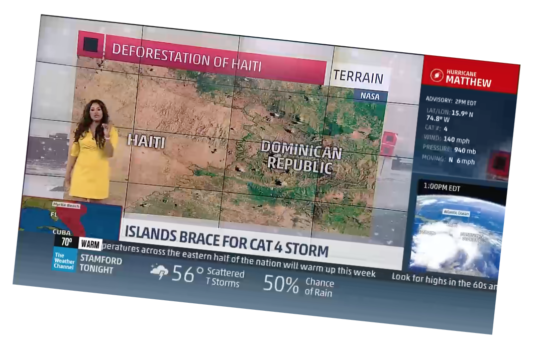 Haiti finally got one unbias and good news report. 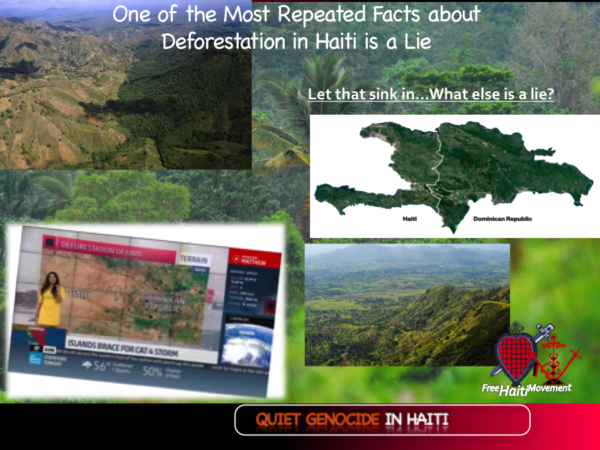 The information shared in the Vice News article (copied below) titled, “One of the most repeated facts about Haiti is a lie” by M.R. O’Connor, vindicates our work (here, here) and it feels so good. 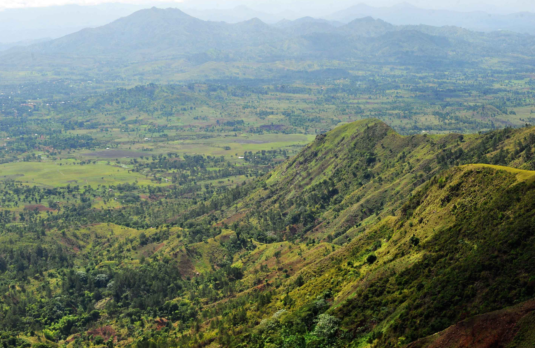 O’Connor’s article is about geologist Peter Wampler’s deforestation research in Haiti. Except for the end of the article, when O’Connor brings up Sean Penn’s interventions in Haiti in a positive (or at best, a neutral) light, this is one of the best information recently written by a non-Haitian. It touches the tip of the iceberg on the often repeated lies about Haiti. But it’s the sort of information that helps fight the powerful poverty pimping charitable industry, the NGOs, Bretton Woods organizations, the US occupation behind UN proxy guns and the embedded media’s imperial agenda in Haiti. It’s good to know the actual percentage of Haiti forest cover and not the false stereotypes, dire images and stigmatization. this? Aye! The government should evacuate them. Let Establishment Democrats Scream But Haitian and Haitian-American Disgust with Clintons Is Justified. There are other often repeated lies about Haiti which are sold as fact. And, we’ve been outlining them for years to demand an end to the Western plunder that hides behind the constant disaster stories. The exaggerations service Western extraction companies, colonial interests and the crisis caravan of the Clinton-Paul Farmer charitable industrial complex. Hurricane Matthew shows the devastated South of Haiti was a green land hardly ever photographed by the poverty pimps for their newspaper stories when it was green. Pic Macaya National Forest in Haiti, an international biosphere reserve, doesn’t exist for the racist minions of Western imperialism and the Wall Street pirates and plunderers in Haiti. 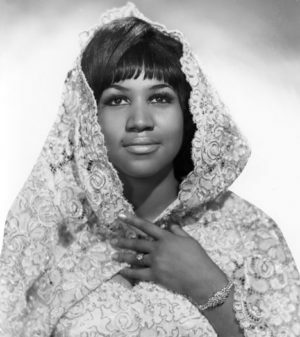 But the veil is lifting. Soon, we will read a major feature about how Haiti has less violence than the Dominican Republic, in fact, than most nations in the Western Hemisphere. Soon, we will read how the US built its largest Embassy in the Western Hemisphere in Haiti because of Haiti’s massive wealth and riches. Soon, we will read how the Eurocentric lies and racist, often repeated facts about Haiti violence, corruption, deforestation and innate poverty are tools used to make the country an ATM for the charitable industrial complex and to continue the Western occupation and colonial control by the three colonial powers at the UN Security Council. One day soon, Haiti’s informal economy and the over 172,000 Haiti Lakou yo – communally owned family plots of lands, worked by our small farmers and market women, will count towards valuing Haiti’s real wealth. One day soon, the eugenicist West, depopulating Haiti and Africa with perpetual war, destabilization, regime changes, fake elections, dictatorship, fake aid, foul inoculations, drugs, diseases, free trade that promotes famine and weather warfare, will face more honest journalists, researchers and their own awaken people’s outrage. The racist imperial West works overtime to repeat lies about Haiti to dominate, exterminate Haitians, move them off their fertile lands to expropriate Black Haiti’s natural and human resources. O’Connor’s findings show how the Internationals keep Haiti in a choke-hold; deliberately push images of Haiti devastation to simultaneously demoralize, discourage, make Haitians dependent to raise more monies for the foreign do-gooders. The article is a breath fresh air in a sea of Eurocentric lies about Haiti. The Hillary and Bill Clinton and Paul Farmer poverty pimps are getting exposed by more and more people than just us at Èzili’s HLLN and the tireless Haiti grassroots resistance to tyranny who battle the vampires and their local ghouls at home and from abroad. 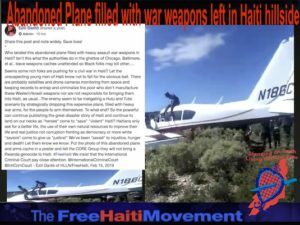 What’s unique and different about Wampler is that most white people go to Haiti, see the lies with their own eyes, but don’t expose it when they return home. Instead, they join in with the poverty pimps to raise monies off the lies. Sean Penn is one of those white boys who became an instant Haiti expert after a few months in Haiti. He saw Haiti was less violent compared to the Dominican Republic, Jamaica, Bahamas, to name a few; had a front row seat during the Clinton-OAS rigged Martelly elections; eyeballed Haiti’s relative forest cover, but remained silent. In fact, he used his celebrity status to distract attention from the Clinton crimes, get monies for his organizations from the Red Cross meant for Haitians and turned a blind eye to the lawless Martelly regime put in by the Clintons under the Obama Administration. With other useful idiots from Hollywood and the so-called “Liberal” sector, Sean Penn accepted the Clintons’ pay-to-play was normal, drinking champagne with them to celebrate “progress for Haiti” by inaugurating a sweatshop as the height of Haiti earthquake recovery. 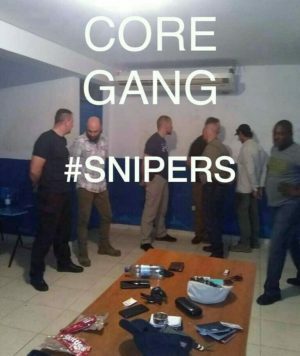 These folks said nothing as the UN shot unarmed Haitians dead in the streets who protested the US occupation behind UN guns, fake elections, cholera democracy and fake aid. But they want to save the trees? The colonial truth doesn’t raise funds, but keeping Haiti in a choke-hold, lying about even our trees is profitable. The worst Haiti suffers, or is made out to be, the more funds the “hero/philanthropist” raises. 32% forest cover is 2% forest cover in their Avatar script. Colonial celebritism, along with the white man’s burden narrative, services the Lone Ranger, Tarzan, Superman, their Tonto and Jane sidekicks. It’s not real. Reality manipulated. 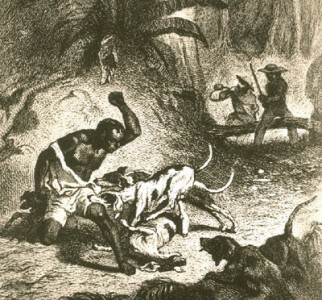 But in the Discoverers’ world, the natives play the part of the savages, killing what in Haiti? oh yeah, nature and the trees? Wasn’t it the Discoverers who clear cut the forests of Haiti to build French palaces and cathedrals centuries ago? Aren’t the white savior nations continuing the environmental apocalypse in other ways to this day? Digging up Haiti for construction aggregate, marble, coal and planning open-pit gold mining in the time of US-introduced cholera? 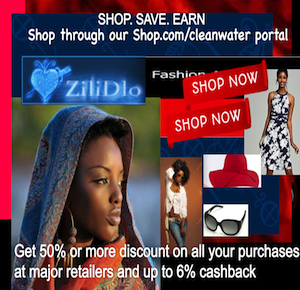 A decade ago, Èzili’s HLLN made it clear that Haiti’s poverty and deforestation results from the theft and exploitation of Haiti by the world’s wealthy countries and their corporations. Wampler had a difficult time getting the Establishment to tell the truth and to stop blaming deforestation on Black people. But that’s part and parcel of what Establishment tyranny is about; what Haitians go through. But a thousand times worst since our agency is destroyed by colonialism. We are not the observers and witnesses but the objects of empire’s wrath and the subjects of fieldwork. For centuries, outsiders predicted the failure of the world’s first country founded by rebel slaves, and for decades outsiders have forecast an environmental collapse rooted in the cultural failures of those slaves’ descendants. Wampler’s study hinted at a different, more interesting story, one of a resource-challenged people who created a unique relationship with their trees through adaptation and management. The study hinted at a different, more interesting story, one of a resource-challenged people who created have a unique relationship with their trees through adaptation and management. Many narratives about Haiti, according to anthropologist Gina Athena Ulysse, are uninformed and ahistorical. Even after the catastrophic earthquake in 2010, which brought yet another influx of foreigners to document Haiti’s tragedies, the media’s representations — of an overpopulated country of irrational, progress-resistant and ignorant people — could be traced back to those popular in the 19th century, after Haiti’s slaves launched a rebellion and won their independence from France. Rather than applaud this landmark in the history of human freedom, governments around the world viewed the successful slave insurrection with horror. This was 60 years before the United States’ Civil War, and the Republic of Haiti challenged the international system of colonization and slavery. The country’s history since is a series of foreign nations imposing crippling debt, invading, occupying and intervening, with often dire consequences for Haiti’s people. The notion that Haiti’s trees, or lack of trees, was itself a significant problem dates to the aftermath of World War II, when American development agencies arrived on the island looking for projects. Haiti had hardly any old-growth forests, and the culprit, they believed, was overpopulation: Nearly 4 million Haitians, crammed into a tiny portion of the island, had exceeded the environment’s capacity to support them. Desperate for agricultural land and charcoal, Haitians shortsightedly cut down whatever trees they could find, setting into motion a cycle of erosion, diminishing food production, poverty and hunger. By the late 1970s, USAID was warning of an environmental apocalypse by the turn of the century if the rate of tree cutting by Haiti’s rural poor persisted. Development agencies had launched projects focused on planting new trees and protecting forests from Haitian farmers and charcoal producers, but they had little to show for it. Tarter described the dissemination of dire deforestation statistics as a game of telephone spanning decades, in which incomplete information was used to simplify complex environmental and socioeconomic issues. But it also spread because “the world is addicted to apocalyptic stories,” he said, and Haiti is one of the world’s favorite disaster stories. The world is addicted to apocalyptic stories, and Haiti is one of the world’s favorite disaster stories. 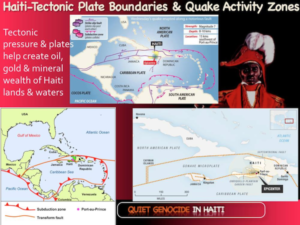 One critical link in the chain of dissemination was a National Geographic article about Haiti published in 1987. The writer, Charles Cobb, described a country in deep despair, afflicted by political corruption, violence, overpopulation, disease and crushing poverty. “Statistics,” he wrote, “do not begin to convey the dimensions of human wretchedness.” Cobb included deforestation among the country’s litany of tragedies, citing the “bygone glory of Haiti’s lush mahogany and tropical oak forests.” “Hungry peasants have stripped the land of its soil-stabilizing tree cover to plant quick-growing foodstuffs,” he wrote. In the middle of the article appeared a photo that would become one of the most iconic and influential images documenting Haiti’s problems. 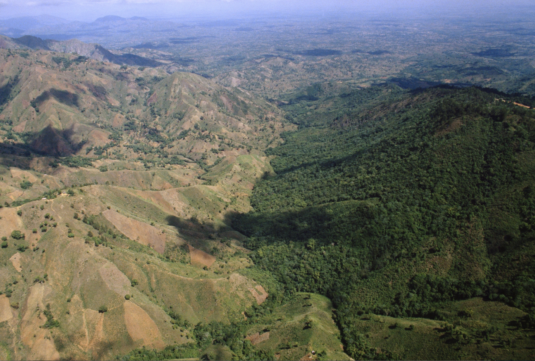 It is an aerial view of the border delineating Haiti and the Dominican Republic; on one side are parched “bare-skinned” mountains and on the other a blanket of verdant forest. Farmers and charcoal producers were blamed for the deforestation throughout the 20th century. But the destruction of the country’s old-growth forest began far earlier with French colonists who cleared the land for slave plantations and used the wood in the sugar-production process. After colonialism, forest laws in many parts of the world as well as the emerging environmental movement borrowed the legal and ideological template of colonialism, explained Robbins, the University of Wisconsin-Madison ecologist, and criminalized poor people’s use of trees. It was the outside world — USAID, the World Bank, the United Nations — that later decided deforestation was a problem in Haiti. In 1979, USAID hired Murray, who had lived in rural Haiti for years, to find out why the agency’s tree-planting programs weren’t working. Despite 30 years of effort, Haitians didn’t seem interested in planting forests. Murray spent a summer talking to farmers and peasants about trees. The tree-planting programs, he noticed, focused on ecology and, problematically, gave ownership of newly planted trees to the Haitian government, which the peasants distrusted. Murray thought the development agencies, under the influence of environmentalists, had gotten it all wrong. They saw trees as emblems of Mother Nature in need of saving. “It was too late! There were no original forests left,” he said. Murray’s radical recommendation was that policymakers abandon “the podium and the pulpit” of ecology and saving nature and provide rural families with both seedlings and harvest rights to the trees they grew. He predicted that under those conditions, Haitians would fill the landscape with trees. Over the next two decades, a project funded by USAID and implemented by the Pan American Development Foundation resulted in more than 300,000 Haitian peasant households planting 65 million trees. Murray continues to visit Haiti each year and was not at all surprised by the results of Peter Wampler’s study, though he said it is unlikely that his project — which planted trees specifically for harvest — is responsible. It’s possible that a third of Haiti had tree cover all along. If this turns out to be the case, the implications are amazing. Urbanization usually creates a greater demand for charcoal, because people in cities don’t have easy access to firewood. So it’s possible that over the last 40 years, Haitians not only avoided the environmental apocalypse predicted for them but also expanded their country’s tree cover, even as the population has grown to 10 million people, more of whom live in cities. Wampler is designing another study to compare present tree-cover levels with archival satellite images from the 1970s to determine whether his earlier results represent a decrease or increase in trees in the last four decades. 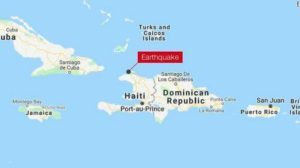 Whatever the extent of tree cover, soil erosion, groundwater contamination, and deadly flooding remain significant problems in Haiti. Cultivating treeless, steep mountainsides for agriculture, a common practice, is environmentally damaging and allows topsoil to wash out. Haiti’s tree cover may be around 30 percent, but it is patchy, which affects biodiversity, drought, water quality and the impact of natural disasters like Hurricane Matthew, now estimated to have taken at least a thousand lives. 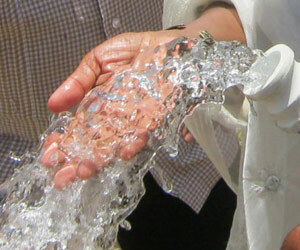 These types of events are only expected to increase with climate change. Reforestation may prove simpler than correcting the decades of environmental doomsaying that has contributed to Haiti’s status as the world’s favorite disaster story. But statistics tell much more than a story of wretchedness in Haiti; they also reveal ingenuity. M.R. O’Connor is a journalist and the author of “Resurrection Science: Conservation, De-Extinction and the Precarious Future of Wild Things.” Follow her on Twitter @TheOChronicle.